LUISS Business School is a partner in growth and transformation processes. The School supports the growth and transformation of its corporate and institutional partners by providing talents and competencies through its education and research activities, thereby allowing these partners to face present and future economic and social challenges. This approach is unique through an entrepreneurial perspective combined with problem solving; vision nourished by creativity and critical thinking; focus on the importance of sustainability, social impact, and diversity; and understanding of the opportunities provided by digital transformation. LUISS Business School is a bridge between the academic and business worlds through its long-term partnership with Confindustria, where key partners from the corporate, no profit and public sectors are directly engaged in the co-creation of specific programs that aim to advance knowledge on management practices. LUISS Business School experience is strongly international to guarantee a global approach and the possibility of creating a network with no boundaries. The Ethics, Responsibility and Sustainability Hub (ERShub) has been created to give value to ethics, responsibility and sustainability in management education and in economic action in general. ERShub promotes the idea that an ethical, responsible, and sustainable approach in doing business is instrumental to achieving significant and long lasting economic results while allowing to properly interpret the today’s world dynamics and the global challenges characterizing it. 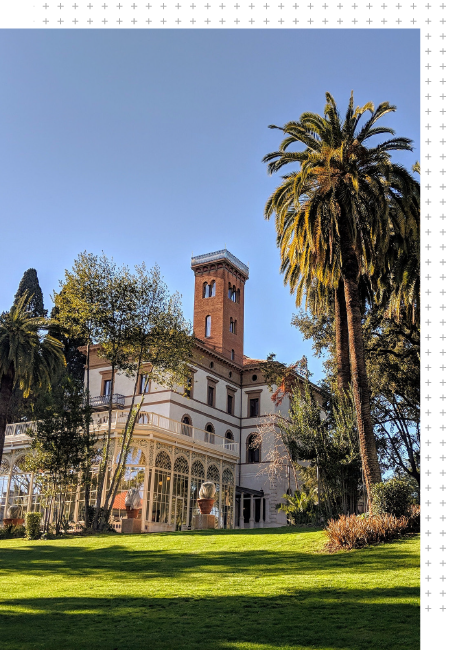 LUISS Business School is a top-level Business school in the world’s heritage city of Rome, where beauty, history and culture provide an amazing environment. The School is situated in one of the most remarkable, historic and artistic parts of Rome and its buildings mirror the atmosphere and the beauty of the city. LUISS Business School is the School of Business and Management of the LUISS Guido Carli University. Its mission is to promote the development of professionals capable of leading change and innovation processes. The teaching methods are based on the close link between teaching and applied research, experiential activities and academic excellence, in order to meet real needs of the business community. It is a true bridge between the academic and business world. The School is fully committed to excellence in teaching, learning, and research, as well as to providing a high level of services that allow students to focus on their personal, professional, and academic development. The School enforces academic freedom as a basic right for its faculty, scholar, and students in order to maintain an environment that allows open discourse in all subject areas. The demand of ethically and socially responsible behavior from the School’s students, academics and professional staff is deeply rooted in the identity of the school. The School serves the interests and needs of markets and all stakeholders, free from any political or religious interest and orientation.